What services are available to students? What type of assessment is used? Is ADHD medication monitoring available? What are the assessment costs? What is the intensive week-long intervention and the cost? What is Secret Codes Curriculum? Individuals of all ages are welcome at the Center for READing. We have experience working with individuals as young as four years of age through adults. Now is a great time to become a competent reader! 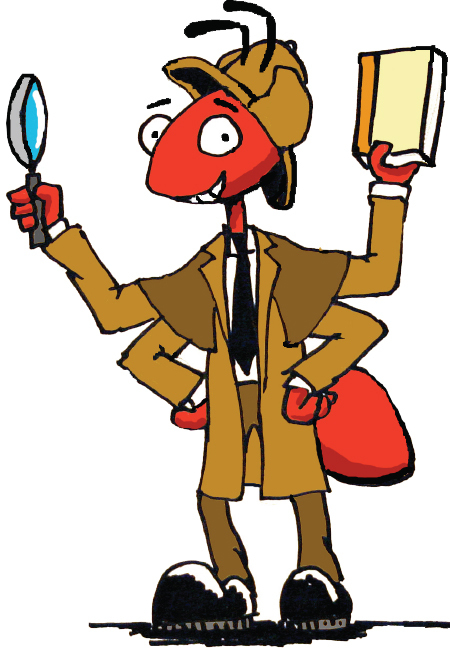 The Center for READing will be offering the Secret Codes Camp this summer, June 3-July 25. The camp will be open to all children who want to get a jump start learning to read or who are struggling to learn to read. The Secret Codes Camp is open to all children. For more information, visit the Secret Codes Camp website. Dyslexia is defined as a learning disorder marked by an inability to read; dys (Greek, meaning difficult or disordered) and lexis (Greek, meaning word). Hence; difficult or disordered word. Dyslexia essentially means difficulty reading words. Research have now furthered the definition to include not only reading difficulties, but an impairment in areas of language development that is observed when the individual begins learning to read. These skills are measure with the Center for READing’s assessment protocols. The ability to learn to speak is natural and relatively effortless for nearly all infants and toddlers. For most infants, simply exposing them to a language guarantees that they will learn the language. Regardless of nationality, infants are generally born with the ability to utter all of the sounds that humans are capable of producing. After some time in a particular language environment, the infant will stop producing some sounds in favor of those that he or she is hearing in his or her language environment. The infant and young toddler’s vocabulary also increases in leaps and bounds. For the most part, this process is seemingly so automatic and effortless that Noam Chomsky theorized that infants are born with a Language Acquisition Device (LAD). The LAD is a theoretic neurological device whose primary purpose is to help the individual to acquire language and helps to explain how language development occurs so readily and easily in young children. Learning to read, on the other hand, is not a natural process and takes an extraordinary amount of effort. Allowing young children to have exposure to text without someone reading the text to them, does not result in spontaneous reading. Most young children are quite motivated to learn to read and look forward to attending school in anticipation of learning how to read. This excitement can turn to frustration and disappointment for children who are experiences weaknesses in the skills that are necessary to begin learning to read. Researchers have identified a causative agent involved in the difficulty some children have when trying to learn to read; phonological processing deficiencies. Phonology processing refers to the ability of the individual to understand that words are comprised of sounds and that these sounds can be used as linguistic building blocks. As an example, when children who are not at risk for reading difficulties are asked to say a word such as dog, and then to say it again without a particular sound, they can do this successfully. That is, say dog without the /d/sound. The child not at risk for reading difficulties would say og. Children at risk for reading difficulties typically are not as able to consistently do this. Learning to read involves decoding text into sounds and then combining those sounds to produce words. Without the ability to understand that words are comprised of sounds, children have a very serious difficulty learning to read. In other words, phonological processing is a prerequisite skill when learning to read. Some children are able to essentially memorize the visual representation of a word along with the sounds that it represents. Unfortunately, this strategy fails when the child’s memory system becomes overloaded. This is one of the reasons that many children who have reading difficulties are not identified until after third grade. This is when memorization strategy fails. When children come to understand that letters of the alphabet represent the sounds of language and when they can manipulate these sounds and symbols, they have the essential skills to begin the process of learning to read. Linguistic researchers refer to acquiring this ability as the having learned the alphabetic principle. Comprehending the alphabetic principle is the key to deciphering the phonological code stored in the visual representation; the word. It is also the same strategy that adult readers use to read a word they have never seen before. Children with reading difficulties are not just disadvantaged academically; they are likely to experience a number of other important difficulties. They are likely to have lower self-esteem and experience some conflict with their parents. Imagine knowing that you are relatively intelligent. You know that you are at least as smart as your friends are. However, your friends are learning to reading, but you are not. Unfortunately, children are likely to attribute their difficulties learning to read with “being stupid.” Of course, they are not. But when children are unable to do particular tasks or do not have specific skills, they typically attribute this lack of ability as a deficiency in themselves. In addition, parents get very frustrated with their children with dyslexia/reading difficulties. They know how critically important the ability to read is. Teachers many times suggest that in the first grade children learn to read, while after third grade children read to learn. The education system relies on children’s abilities to read. Parents also know that, to a large extent, their children’s abilities to later gain and maintain employment will be related to their children’s abilities to read. Most jobs today require reading ability. Parents who are not aware of the reasons for reading difficulties sometimes believe that since their children are intelligent enough to learn to read and are not doing well learning to read, they are simply not trying hard enough. This sometimes leads to harsh and hurtful words. Because parents love their children and want the best for them, they feel that they need to help motivate their children to work harder. Regrettably, this strategy does not work. Children with reading difficulties need specific and explicit instruction that will not improve with “increased motivation” or with the simple passage of time. Waiting simply delays improvement and widens the gap between good and poor readers. At the Center for READing, we have been studying dyslexia and reading difficulties for some time. We have specifically developed techniques that are very accurate in identifying the difficulties related to reading difficulties. We have also developed strategies to help individuals become competent readers. Correcting a reading difficult will do much more than just improve academic skills. It opens up tremendous opportunities that might not otherwise be available to individuals with dyslexia. In order to meet diagnostic criteria, these behaviors must be excessive, long-term, and pervasive. The behaviors must appear before age 7, and continue for at least 6 months. A crucial consideration is that the behaviors must create a real handicap in at least two areas of a person's life, such as school, home, work, or social settings. These criteria set ADHD apart from the "normal" distractibility and impulsive behavior of childhood, or the effects of the hectic and overstressed lifestyle prevalent in our society. According to Diagnostic and Statistical Manual of Mental Disorders (DSM) some common symptoms of ADHD include: often fails to give close attention to details or makes careless mistakes; often has difficulty sustaining attention to tasks; often does not seem to listen when spoken to directly; often fails to follow instructions carefully and completely; losing or forgetting important things; feeling restless, often fidgeting with hands or feet, or squirming; running or climbing excessively; often talks excessively; often blurts out answers before hearing the whole question; often has difficulty awaiting turn. Please keep in mind that the exact nature and severity of ADHD symptoms varies from person to person. Approximately one-third of people with ADHD do not have the hyperactive or overactive behavior component, for example. Approximately 30 to 50% of children with reading difficulties also experience ADHD and nearly all children ADHD have some difficulties with reading. There are several types of ADHD. Although all of the types involve a child not being able to maintain attention, not all of the types involve hyperactivity. Therefore, your child could struggle with keeping attention during demanding or less stimulating tasks, which do not involve excessive amounts of behavior. Some areas of ADHD involve children simply not being able to attend to the task at hand. There is no jumping out of one's seat or excessive amounts of inappropriate behavior. Therefore, it is possible for a child to have ADHD primarily inattentive type without you really knowing. Of course, you might notice that your child may not be able to remember instructions or "forget" that you just asked him or her to do. At the Center for READing, we routinely assess all of our children for ADHD. We do this because many times a parent will bring in his or her child to be assessed because of a reading problem only to find that his or her child has good phonological processing and reading skills, but has difficulties with attention. It is sometimes difficult to know which difficulty is present without a thorough examination of both possibilities. The behaviors associated with dyslexia and ADHD, particularly in young children, can appear similar. For example, it will be so difficult for a child who has ADHD to attend to the reading task that might appear that he or she has dyslexia. A child who has dyslexia is going to have difficulty maintaining attention to a task that he or she is not capable of achieving. It is imperative to examine both reading and attentional skills to determine the nature of the difficulty. If you would like, you could have your child take a continuous performance test to get an idea of further consideration is warranted. This might be particularly important if you have no other clues that your child might be experiencing ADHD. This is more likely going to be the case for ADHD Primarily Inattentive Type than it would be for ADHD Primarily Hyperactivity-Impulsive Type. Children who have ADHD Primarily Hyperactivity-Impulsive Type are usually quite obvious in their excessive and inappropriate levels of behavior, while children with ADHD Primarily Inattentive Type are very often not obvious in their attentiveness. When children's behavior in a classroom is disruptive, everyone notices. When a child is sitting quietly in his or her seat, not disrupting the class in any way, but also not able to stay on task or to attend the instruction, it may be difficult to immediately notice. It is for this reason, that we typically request that parents consider ADHD testing to factor out attentional difficulties and how attentional problems might be affecting reading. Before an appropriate intervention can be determined, a thorough assessment of the individuals' abilities is needed. The Center for READing provides a full assessment that includes gaining information regarding developmental and medical history, the assessment of reading skills (phonological processing, letter and word recognition, spelling and comprehension), attention (ADHD; continuous performance task, parent surveys), auditory processing and other areas that assessment emotional and psychological processing (as it relates to academic performance). Regardless of the reason for the referral, all individuals are assessed on reading and attention. We have found that some children whose parents or teachers believe that they have reading difficulties actually have attentional deficiencies and some individuals whose parents or teachers believe that they have attentional problems actually have reading difficulties. A full evaluation helps us to determine the specific reason for the difficulty. There are also some cases in which the student is experiencing difficulty at school even though we find that he or she has good reading skill and subskills, and does not have attentional difficulties. In these areas, we do further assessment to determining the nature of the student's difficulty at school. Examples of these types of issues include depression, anxiety, and other situational, psychological or emotional causes. Parents receive a copy of the evaluation so that they can make informed decisions regarding their child. Parents are encouraged to take the Summary of Assessment results to their physician if they believe that a diagnosis of ADHD is likely and if a medical intervention is desired. The information contained within the Summary of Assessment form is valuable to the physician who is making the diagnosis. I f the parents desire, a copy can be sent to their child's school after a release waiver has been signed by the parent(s). When it has been determined that the individual qualifies for our interventions, it is generally recommended that the intervention take place two to three times per week for at least 30 minutes. Intervention services are offered at the Center for READing office. Yes. The Center for READing also offers assessment to determine the appropriate dosage levels (titration) for children who are using medications to control their attentional difficulties. The cost of assessments are based on family income. Please examine the table below to determine costs for your family. The Center for READing offers an intensive week-long intervention. We have had considerable success utilizing this approach. The cost is also based on family income. Please examine the table below to determine costs for your family. The intensive intervention requires advanced scheduling and a deposit. We assist with finding lodging at a reduced rate. The Secret Codes! Is a reading acquisition curriculum developed for kindergarten students. Its purpose is to provide kindergarten students with a system that allows them to understand the mechanics of learning to read. Learning to read is one of the most important and complex behaviors in which we engage. In our culture, an individual’s social and economic success is dependent upon his or her ability to successfully learn to read. Very few careers or jobs do not require reading. As a result, all students need to develop adequate reading skills. Too many children are experiencing difficulties learning to read. Approximately 15 to 20% of our nation’s children have reading difficulties/dyslexia. Unfortunately, this percentage is increasing. The future of individuals with reading difficulties is bleak in our service-oriented society, which requires each of its members to read well. Reading difficulties are not just an academic problem; they are social problems as well. Reading is not a natural process. It takes an extraordinary amount of effort to learn to read. Exposing young students to text does not result in spontaneous reading. The students must learn the relationship between the letters and their respective sounds, to use the knowledge of this relationship to decode words into their respective sounds, synthesize the individual sounds into words, and then recognize that this word is in their vocabulary. Lastly, and most importantly, the students must be able to comprehend the written material, as comprehension is the goal of the reading process. Learning to read is a difficult act that can be delayed if students do not have the prerequisite skills. Currently, other curricula designed to teach kindergartners to read are not reaching the children who are at risk for reading failure; otherwise, there would not be nearly 30% of children who struggle learning to read. Writing systems were created to permanently record thoughts and ideas. Unfortunately, the English writing system makes it very difficult to learn to read. In transparent writing systems, each sound of the language is represented by one and only one symbol. Each symbol represents one and only one sound. Examples of transparent writing systems include Greek, German, Finnish, Serbian, and Turkish. Generally, students who are learning to read in opaque writing systems. It is easier to learn to read when the writing system is transparent. The English writing system is an opaque writing system, which means that there is no one-on-one system for representing sounds. There are over 40 sounds in the English language and there are only 26 letters of the alphabet. As a result, some letters are used to represent more than one sound. In addition, some sounds are represented by several spelling combinations. The English writing system is one of the most opaque writing systems; it is influenced by many languages (Anglo-Saxon, French, Latin, Greek, and Danish), all of which were able to retain their unique writing systems. J.R. Firth, in 1937, stated, “English spelling is so preposterously unsystematic that some sort of reform is undoubtedly necessary in the interest of the whole world.” Mastering the English writing system involves great time and effort because of the borrowing and using of other writing systems, which have unique spelling protocols. In English, a letter may represent more than one sound. For example, the letter “c” represent the /k/ and /s/ sounds, the letter “g” represents the /g/ and /j/ sounds, the letter “y” represents the /e/ and /i/ sounds, all of the vowels represent several sounds. Learning to decode these symbols into their respective sounds is challenging. The system gets even more complex when there are alternative ways to represent particular sounds in their written forms (e.g., the /k/ sound is mad by the /k/ and/c/, and /ck/) and the use of letters that already represent other sounds (e.g., the digraph /oi/, which contains the /o/ and /i/ that already represent four other sounds in total to represent the /oi/ sound). To complicate the system even more, there are different spellings of words based on the context (e.g., to, too, and two). As a result, students of the English writing system begin the process of learning to read earlier than their transparent writing system peers did, and they take longer to learn to read. The No Child Left Behind (NCLB) legislation was created, in part, to combat the large number of students who are experiencing reading failure. The best approach to assisting these students is to provide them with training and instruction that will help prevent them from having reading difficulties. As Ben Franklin stated, “an ounce of prevention is worth a pound of cure.” Once a student is identified as experiencing reading failure, he or she is considerably behind in reading and it is very difficult to catch up. The Secret Codes curriculum was written specifically to address these concerns and to increase the probability that the students will not experience reading failure. The Secret Codes curriculum is organized into 127 activities. Each activity is intended to be completed during one school day. Individual activities present information regarding a single feature of the curriculum. During the curriculum, the students progress from learning about codes to reading and writing their own paragraph. The reading vocabulary contains over 550 words and over 80 sentences that the students read multiple times. The Secret Codes curriculum provides students with the tools necessary to be great readers. Students who complete the Secret Codes curriculum will have an understanding that reading is a process of using their “secret code” to analyze (decode) the written word into sounds and then synthesize (blend) those sounds into a word that they recognize. Because the students continue to develop their reading skills, it is important their analysis (decoding) and synthesis (blending) skills are well developed; these are the skills that all readers use to read unfamiliar words. The Secret Codes curriculum activities are comprised of whole-group instruction, small group instruction, and homework. In Activity 1, the students are taught that the written form of the language is simply a “secret code” and that their task is to learn how to “crack the secret code.” The next three activities involve presenting the student phoneme and the letter that represents that phoneme. Activity 2 involves presenting “a” followed by the consonants “n” and “t” for Activities 3 and 4, respectively. Activity 5 uses the newly acquired skills to decode the letters “a,” “n,” and “t” into sounds (i.e., /a/, /n/, and /t/) and then synthesize those sounds in to the word “ant.” The most important part of the early activities is that the students become aware of the utility of the secret code and understand that the result of using the secret code is reading. The Secret Code Curriculum Works! Scientific evaluation indicated that students who participated in the Secret Codes group statistically outperformed the students who participated in the comparison/control group. Kindergarten teachers who used the Secret Codes curriculum reported that the students were considerably more advanced at the end of their kindergarten year than previous years. First-grade teachers indicated that the students who had the Secret Codes curriculum in kindergarten were able to do things at the beginning of the school year that they were not usually able to do until mid-year. For specific information regarding the curriculum, please send an e-mail to David P. Hurford or call 620-235-4534. To engage in Research, activities that will examine the etiology of dyslexia and reading difficulties. To provide science-based Evaluations for identifying dyslexia. administrators and other professionals with regard to Dyslexia and reading difficulties. The research generated at the Center will help guide potential changes in assessment and intervention tools and will be submitted for publication in peer-reviewed journals for dissemination to further the scientific literature. Presentations at conferences will also lead to further dissemination of the work of the Center. The Center will create relationships with families, educators, administrators and other professionals in the community and will provide highly professional and evidenced-based assessments and interventions to increase literacy. Interventionists are a vital and necessary part of the Center for READing. In fact, the ability of the Center for READing to provide high-quality services is completely dependent on the motivation, reliability and professionalism of the interventionists. Complete the Interventionist Application and return it to the Center for READing Office, 209 Whitesitt Hall. Most students who are paraprofessional tutors for the Center for READing are either funded through the Kansas Youth Educational Services (YES) Program or the America Reads Program. Completed application and résumé through the Office of Career Services, 202 Horace Mann. Director: David P. Hurford, Ph.D. The research that is generated by the Center for READing is concerned with three areas; etiology, identification, and remediation. The focus of the research concerning etiology is directed at discovering the mechanisms responsible for poor phonological processing abilities that lead to deficient reading. The identification research is responsible for determining the best means to identify children at risk for reading difficulties. Finding the most appropriate intervention strategies to prevent reading difficulties in at-risk children and to remediate the deficient phonological processing skills in children determined to have dyslexia is the intention of the remediation research. For information regarding the technical information associated with the identification techniques and the training paradigm used by the Center for READing, select the appropriate link below.